By now it should come as no surprise that prolonged periods of inactivity are bad for your health. It seems that the science is in, and the bad news is that long periods of sitting or inactivity is a risk factor for many diseases, independent of other factors such as obesity. This means that if you are hitting the gym for an hour a day, but are sitting down for long periods during the rest of the day without moving, you may not be avoiding the health risks that come with sitting. There is evidence that shows that when sitting for long periods, our bodies show unhealthy changes in blood pressure and blood sugar levels that over long periods of time can lead to increased risk of diabetes, dementia and obesity. How much sitting is considered too much and how long it takes for these changes to take place is up for debate. What we do know is that regularly breaking up your periods of sitting is a healthy lifestyle choice you can make for yourself in the same way that drinking water, regular cardio exercise and eating vegetables are. The insidiousness of the issue is that it’s likely that you are sitting much more than you used to without even realising it. Car commutes to work are getting longer, working days are often spent at a desk and with the rise of online T.V, you might be guilty of three or more hours stuck in one spot catching up with your favourite characters before you know it. I have an office job, what can I do? The first step to changing this habit is to start being aware of exactly how long you are sitting for an uninterrupted period of more than 20 minutes. Once you start noticing your daily patterns you can identify moments where changes can be made. We’ve heard of incidental exercise, but we’ll call this ‘incidental standing’. Consider standing on the train instead of sitting or standing when you have a document to read. 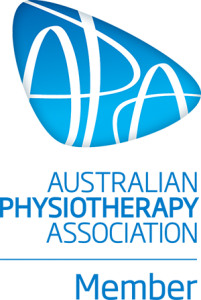 Speak to your physiotherapist for more ideas tailored to suit your individual lifestyle.